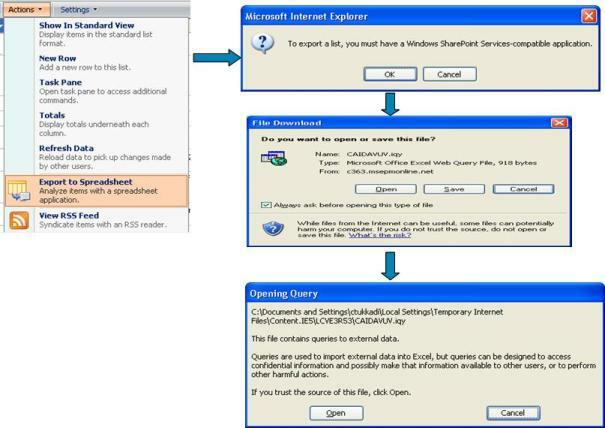 Windows SharePoint Services is fully integrated with Microsoft Office Excel (Excel 2003/2007). When MS Excel installed on your machine, you can export SharePoint list to yourlocal machine that stays updated with changes to the original list in your SharePoint site. 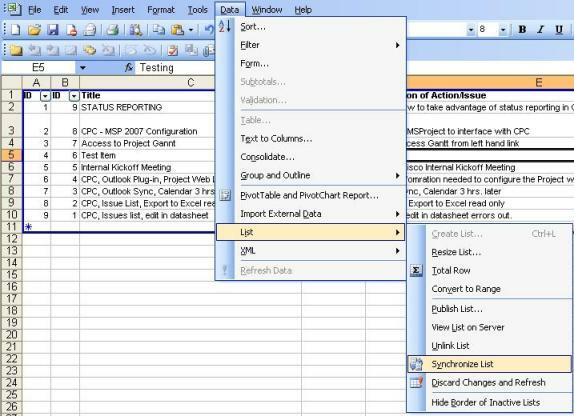 The Excel spreadsheet maintains a connection to the SharePoint list and therfore becomes a linked object. Typically, SharePoint will contain the lists like Issues, Risks, Contacts and customized lists. Please complete the step 1 before working on this step. Open the file saved in step 1. Enter the new information in next available row (marked with *) OR Update the existing rows. On Data Menu -> List -> Synchronize List to updated the contents of Spreadsheet to the List on SharePoint site.